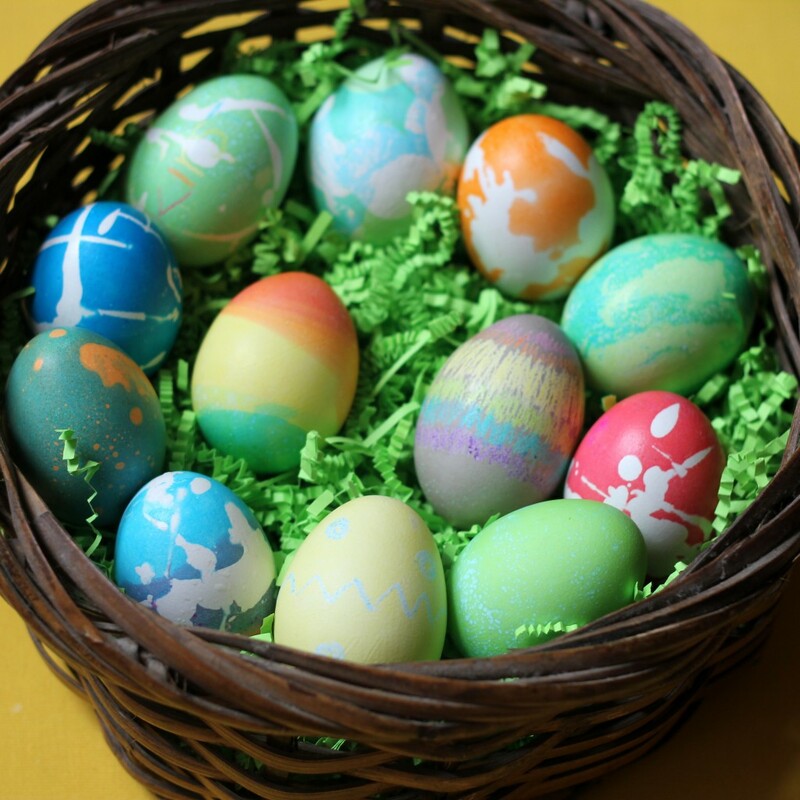 Decorating and dyeing Easter eggs has always been one of my favorite Spring family activities. I seriously love it- and loved it even when I was little (our family “Ugliest Egg” competition was no joke). 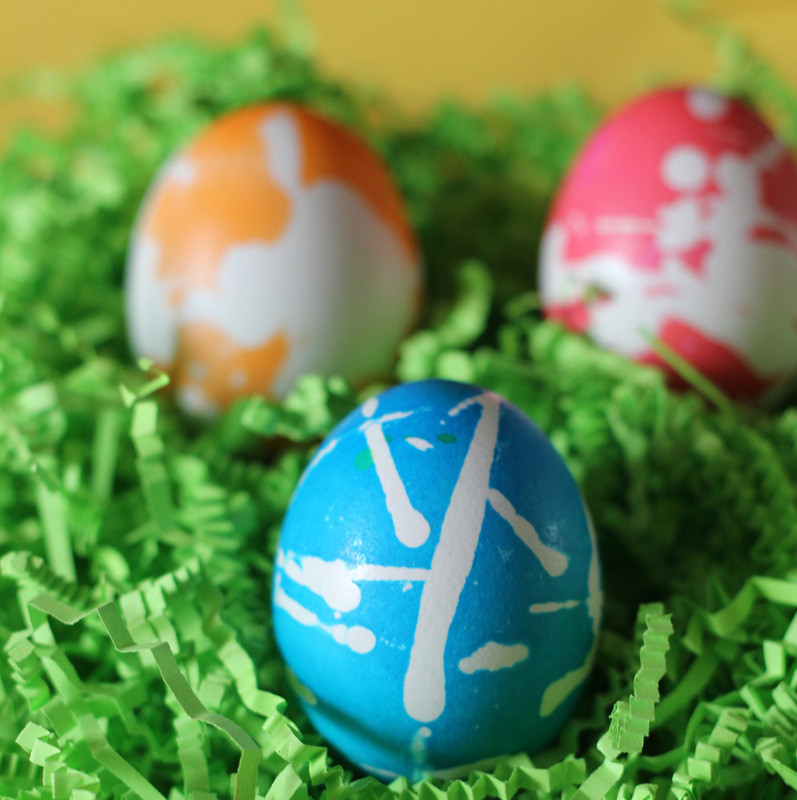 It should come as no surprise, then, that I can sit and dye eggs for hours. I’m not exaggerating. Good thing I love hardboiled eggs, right? That being said, this year I thought I’d share a few egg of my latest favorite egg decorating techniques. Yellow dye is your best friend for these ones. Start by dyeing the whole thing yellow, then dip the bottom in green, and the very bottom tip in blue. Then hold the top in orange and then the very tip in red. Light a votive candle and get yourself a reserve of hot wax. 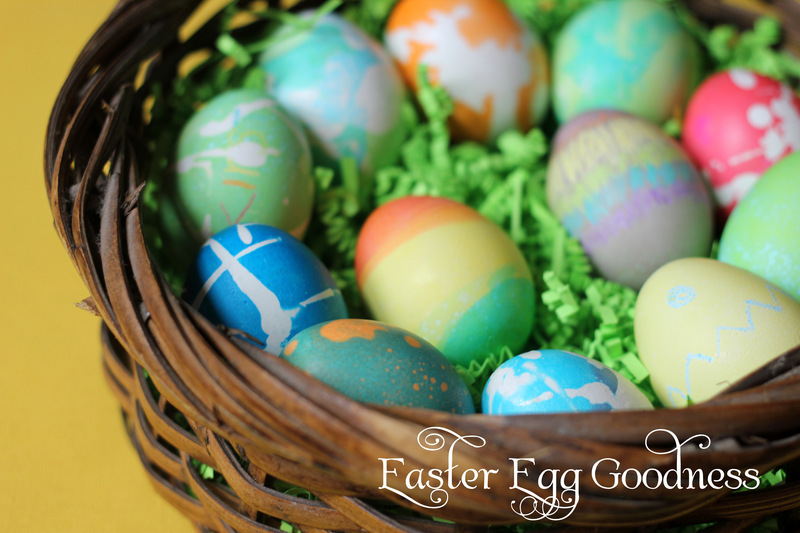 Pour the wax onto the egg shell and then dye. Peel the wax off and you have your splattered egg. 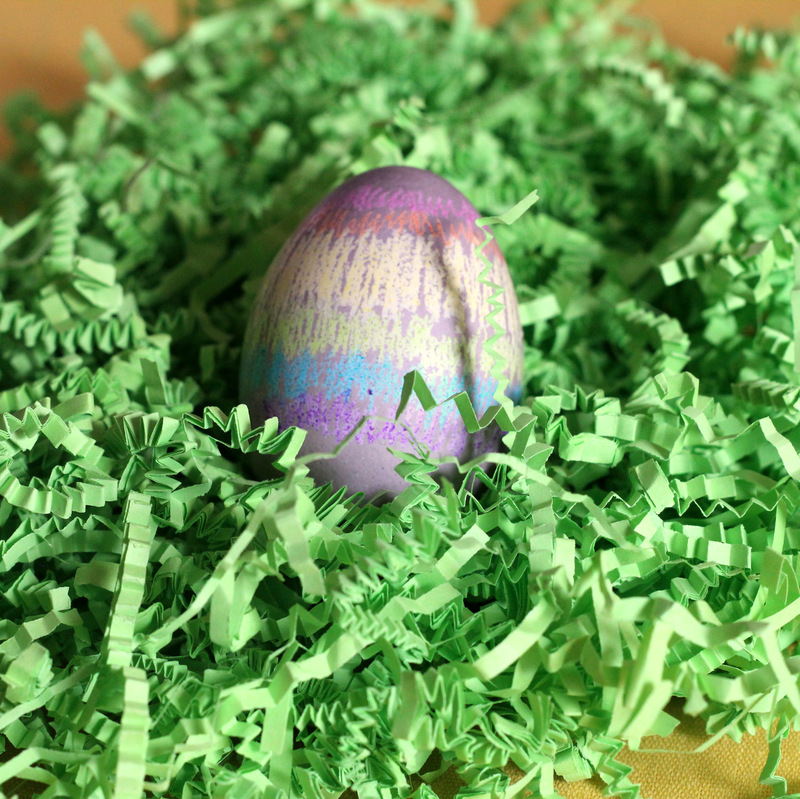 Alternately, dye your egg THEN drip the wax onto the shell. 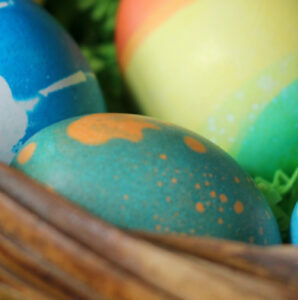 The result will be similar to blue egg with orange splatters. 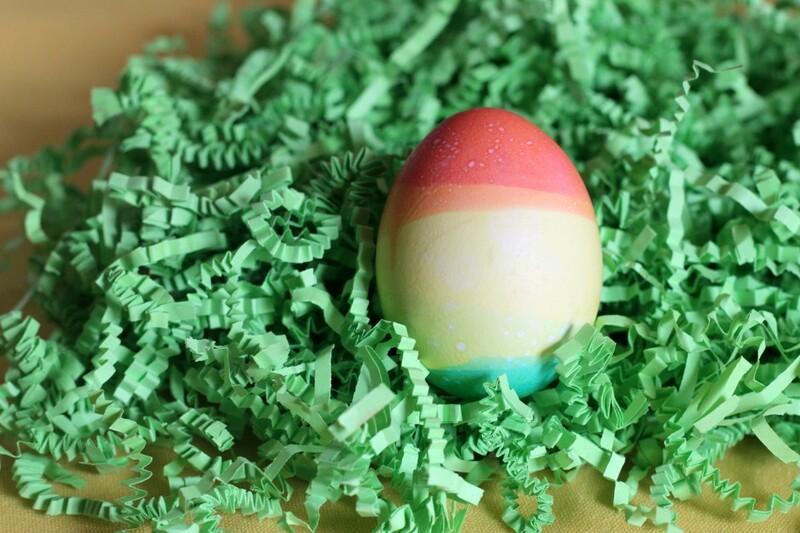 Using crayons, scribble rows of stripes along the egg shell (mine is ROY G BIV-ish order). Then dye in gray or some neutral color to make the crayon stripes pop. 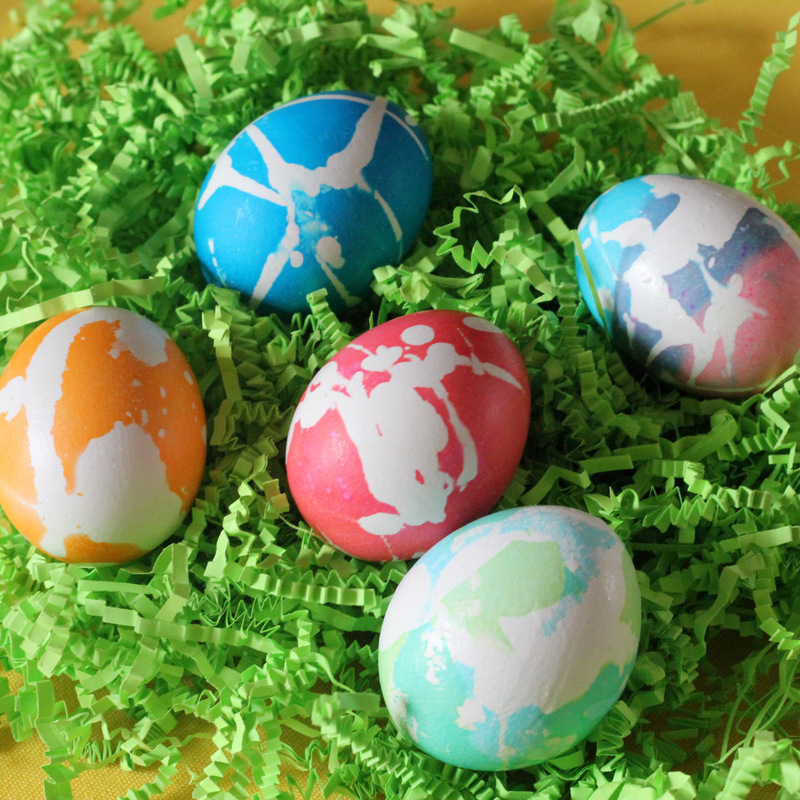 Do y’all share my egg dyeing love?